Zunz could never have dreamed of his impact. A year after publishing “On Rabbinic Literature” he cofounded the Society for the Culture and Scientific Study of the Jews (Verein für Cultur und Wissenschaft der Juden), establishing the first Jewish studies research institute and the first Jewish studies journal. Although only three issues of the journal were published, and within four and a half years the society had disbanded, Zunz always regarded it as a great, almost messianic project. 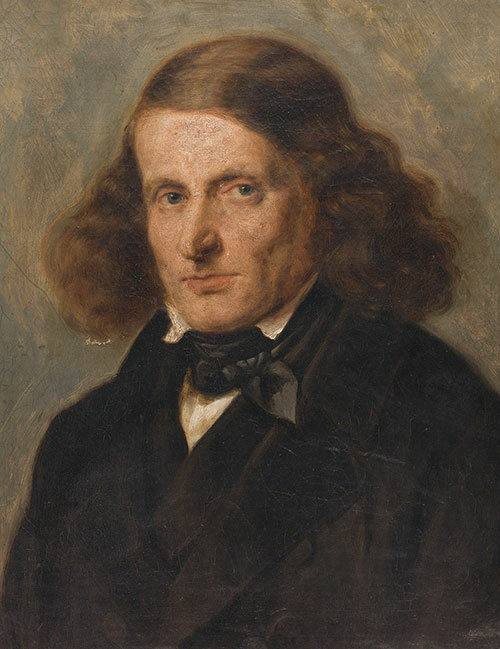 In 1839, he wrote a friend that “the Verein survived 39X40 days, and those days in which Gans, Moser, Heine, Zunz and Rubo, ignoring their own welfare, devoted themselves wholly to the interests of their people—were they not more comely than our own day with its heartless self-centeredness?” Part of the “self-centeredness” to which he referred was the opportunistic conversion to Christianity of his erstwhile comrades-in-arms the poet Heinrich Heine and Eduard Gans. Gans, who had been president of the society and a leading student of Hegel, was appointed associate professor of law at the University of Berlin promptly after his conversion. Zunz himself repeatedly lobbied for a professorship in Jewish studies at a German university but had no success. The first such professorship was only created after the Holocaust, yet today virtually every major American, German, and Israeli university has a Jewish studies program. Jewish studies faculty can be found at universities around the world, from Tokyo to Tuscaloosa. So, it is fortunate that at this historic moment Ismar Schorsch, the chancellor emeritus of the Jewish Theological Seminary, has given us the first English-language biography of Zunz. The product of painstaking archival research, meticulous analysis, and illuminating synthesis, Schorsch’s book is a staggering scholarly achievement. Schorsch identifies four main assumptions that guided Zunz’s revolutionary approach to Jewish knowledge. First, while traditional texts often ascribe events in Jewish history to God’s miraculous will, Zunz bracketed divine influence regarding “the human as the agent of history.” Second, while rabbinic literature regularly interprets the Bible anachronistically, the approach Zunz founded puts “chronology at its crux,” stressing the need to place historical events in a careful temporal sequence. Third, while most Jewish writers of the past relied nearly exclusively on Jewish texts for knowledge about Jewish law, ideas, and history, Zunz’s Jewish studies “emphasizes the validity of non-Jewish sources.” Finally, while traditional scholarship focused on a relatively small number of authoritative texts, primarily the Bible, rabbinic literature, and legal codes, Zunz insisted upon regarding philosophical texts, Hebrew grammars, fables, wills, and memoirs—whether published or in manuscript—as primary sources of Jewish knowledge. In 1815 Zunz enrolled at the recently established University of Berlin, where he studied history and philology. His teachers included the leading Greco-Roman historian of the day, Friedrich August Wolf, preeminent Bible critic W. M. L. De Wette, and “medievalist and student of Nordic myths” Friedrich Rühs. But Zunz stopped studying with Rühs when the latter published On the Demands by Jews for German Citizenship. Rühs argued that Jews could not be citizens due to their moral corruption and self-segregation. He blamed Judaism for these moral failings, concluding that Jews could be eligible for citizenship only after converting. Where may one find more splendid laws than in Würzburg which in the fifteenth century allowed Jews to take with them 50 per cent [of their money]? . . . Where more fairness than in Augsburg in 1440 where the expelled Jews could take along their belongings and sell their houses within two years? Schorsch observes that in the published version Zunz dropped the sarcasm. 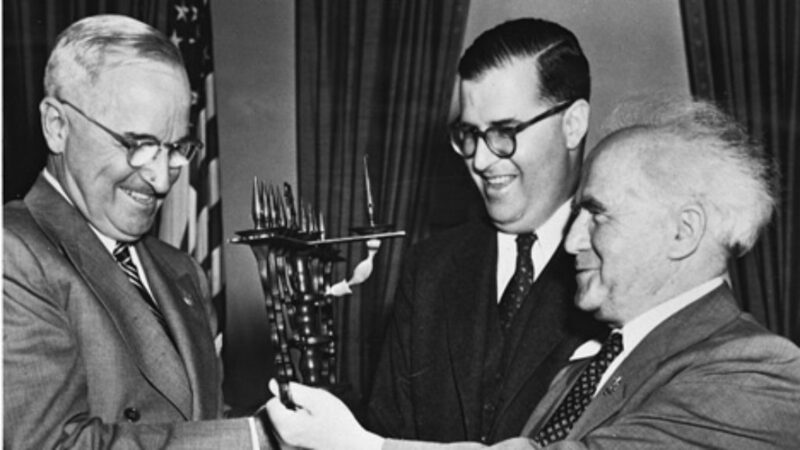 Instead, he provided a subtler defense of Jewish civil rights, arguing that historical scholarship would prove that Jews never lived fully segregated lives, but rather created vibrant cultures that drew upon and contributed to the Gentile societies in which they lived. As a young man, Zunz also sought a role in Jewish communal religious leadership. 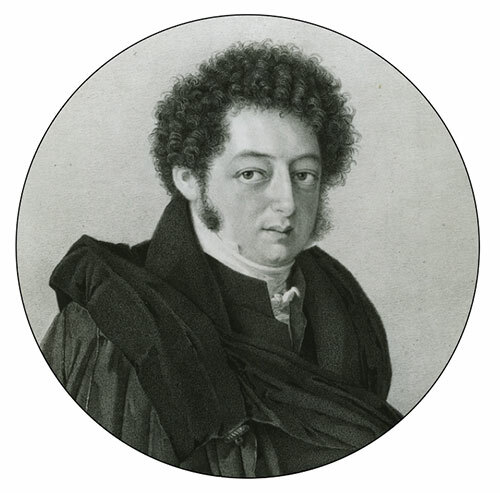 In 1821, shortly before he married, Zunz was appointed preacher at the Reform Beer Temple in Berlin, but he was fired less than a year later. Schorsch tells us that the breaking point came when the congregation charged that Zunz had “improperly departed from the synagogue” on Tisha b’Av. But he also cites a letter from Zunz to his friend Isaak Noa Mannheimer in which Zunz maintains that he was dismissed because of a sermon he gave on “the downfall of the Temple” (which the Ninth of Av, of course, commemorates) in which he “did not spare the board and set forth irreligion, vanity, arrogance and love of money as the reasons for the downfall.” Clearly, he was not cut out for the rabbinate. With the collapse of the Verein and his dismissal from the Beer Temple, Zunz found work as a political editor at Berlin’s prestigious daily Haude- und Spenersche Zeitung. Previous scholars have written virtually nothing about this period, and Schorsch provides the reader with valuable details about Zunz’s work at the newspaper, linking it to his later involvement in politics. He also served as the director of the Berlin Jewish community public school from 1825 until 1829, while continuing his historical research. In 1832 Zunz published The Sermons of the Jews which the 1906 Jewish Encyclopedia called “the most important Jewish work published in the nineteenth century.” The book centers on a masterful historical analysis of classical midrash, which Zunz applied to current religious debates. One of the major reforms enacted by early Reform temples had been the introduction of an inspiring sermon in the vernacular language. The previous practice in German Jewish congregations had been for the rabbi only to speak on the Sabbaths before Passover and Yom Kippur, when he would deliver a learned talmudic discourse in Yiddish. In The Sermons of the Jews, Zunz argues that the original midrashim were, in fact, the vernacular sermons of the ancient rabbis. 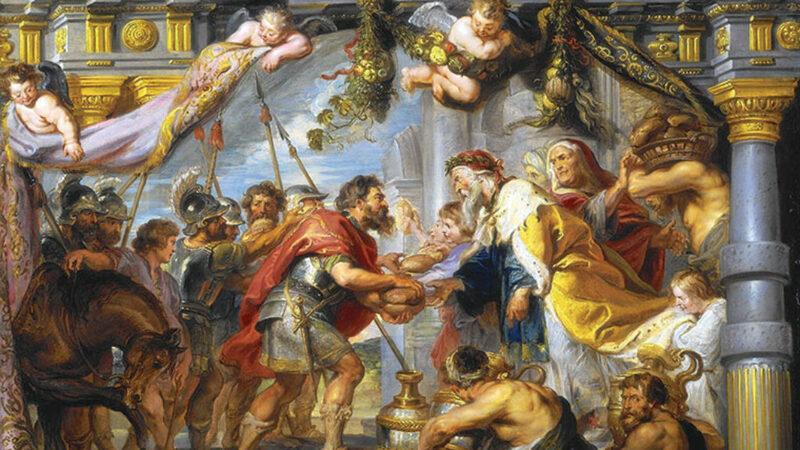 And he demonstrates that this tradition continued throughout the medieval and early modern periods, especially among Sephardim and Italian Jews. Thus, Zunz argues, the Reformers’ introduction of an inspiring sermon delivered in German was not an innovation, but a revival of an ancient tradition. Indeed, it was the lack of a vernacular sermon within German and Polish communities that was a deviation from rabbinic tradition. In 1840 Zunz was appointed director of a Jewish teachers’ seminary in Berlin, where he served for a decade. In this period, he turned from advocating Jewish reforms to a conservative defense of key Jewish rituals. In an 1844 pamphlet Zunz used history to defend circumcision against charges by some radical reformers that it was barbaric and immoral. He argued that the distinction between moral and ceremonial laws was a relatively late invention only emerging in “exile where Jews became aware of their otherness.” Zunz also surveyed the history of how Jews interpreted circumcision, from Maimonides, who saw it as a symbol of “God’s love for Israel and of the love Jews have for one another,” to medieval poets, who saw the blood of circumcision as foreshadowing Jewish martyrdom. Zunz concluded that circumcision served an important national purpose of creating a bond uniting Jews. In 1845 Zunz published his second masterpiece, On History and Literature. This work has been little studied, and Schorsch offers a fascinating, original analysis of it. He shows that a central aim of the book is to defend medieval Ashkenaz from German Reformers who regularly contrasted backward, superstitious Ashkenazi culture with enlightened, rational Sephardi culture, casting themselves as modern heirs of classical Sepharad and their opponents as epigones of medieval Ashkenaz. 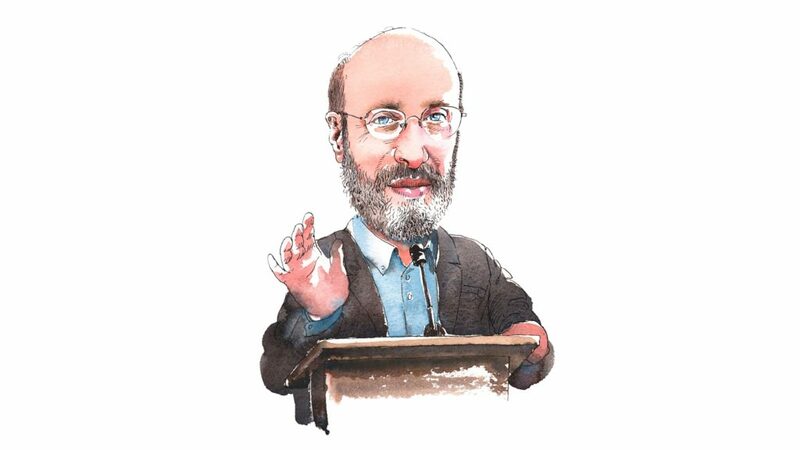 Resisting this stereotype, Zunz illustrates the richness of medieval Ashkenazi literature, which included “theology, history, poetry, astronomy, medicine and science,” and stresses the moral elevation of its mussar literature, whose “ethical standards and pronouncements exceeded those of their Christian neighbors.” Zunz’s book provoked a furious response from the leading Reform scholar and thinker of the day, Abraham Geiger. A vocal democrat, Zunz was an active participant in the March Revolution of 1848, delivering fiery speeches and even serving as an elector to the Prussian National Assembly. Schorsch writes that “Zunz was … not only the most politically engaged of all German Jewish Wissenschaft scholars but also the most radical in his political views.” Following the failure of the 1848 revolutions, he retreated from public life and from 1855 to 1865 published a trilogy on the synagogue liturgy. Schorsch shows that a primary aim of these books was to illustrate Jewish creativity and literary virtuosity in the face of Christian persecution. The Zunzes were married for 52 years, and Schorsch movingly evokes Leopold’s companionship with his Adelheid (they never had children), and the extremity of his grief following her death in 1874. “With my Adelheid,” he wrote, “I have lost everything, even myself. . . . I have no heart that supports me and no one needs mine.” Nonetheless, he lived for another 12 years and developed a close friendship with David Kaufmann, a historian of Jewish thought who was nearly 60 years his junior. Schorsch’s biography ends with the touching image of an elder statesman of Jewish scholarship passing the baton to a younger scholar before his death on March 17, 1886, at age 91. Zunz’s conviction that Jewish studies scholarship was meant to impact life was borne out by the fact that within his lifetime Reform, Conservative, and Modern Orthodox seminaries in Germany and America made Jewish studies an important component in the training of modern rabbis. This remains true, but the place of Jewish studies in modern Jewish life is by no means secure. Ultra-Orthodoxy, which largely rejects academic Jewish studies, is the fastest-growing Jewish group worldwide, while Reform, Conservative, and, arguably, Modern Orthodox Judaism remain demographically stagnant or in decline, and the prospects for Jewish secularism in America are, to say no more, unclear. Does the work of those one thousand scholars, Zunz’s heirs, at the Association for Jewish Studies matter to contemporary Judaism and Jewish life? Leopold Zunz insisted that scholarship should serve not just an intellectual function, but also a moral and political one. Is that true today and ought it to be? The leading Jewish political issue on today’s college campuses is, of course, Israel. But professors of what is now called “Israel studies” are far from unanimous in their approach to the subject. Should they strive to strengthen Zionism as a bulwark against anti-Jewish hatred by demonstrating the historical connection of Jews to the Land of Israel? Or should they unmask the colonialist elements of the Zionist project? Or are such politicized approaches the way scholarship should be pursued at all? Israel studies may become an increasingly contentious flashpoint among Jews. Meanwhile, the heirs to Zunz’s historical project among scholars of Jewish studies may seem increasingly irrelevant. To be sure, Jewish studies will continue to be of interest to those seeking to understand their roots and culture. But for the past half-century, the strongest driving interest has been understanding the Holocaust and the Jewish worlds destroyed by it. As memory of the Holocaust recedes, this interest appears to be diminishing. What resources will Jews be willing to devote to funding research into less dramatic aspects of their history and culture? Let not philosophical inferiors hinder the flight to the Kingdom of Hope by their questions of utility. We have nothing to say to whomever fails to grasp the highest relations of science, its most estimable greatness, and every detail as an integral part of spiritual creation. Zunz was arguing that Jewish studies was legitimated not by considerations of contemporary utility but by the fact that reality forms a whole and studying every manifestation of human civilization contributes to illuminating the complex mosaic of human culture. It was part of what we would call the humanities. As the Jewish community changes and its priorities shift, academic Jewish studies and the Jewish community may eventually go their separate ways. If this happens, the centenary meeting of the Association of Jewish Studies may be significantly smaller than the 50th anniversary meeting. But though diminished, Jewish studies would not disappear. Instead, it would find its modest place as the study of a small expression of human culture that has exercised an outsized impact on world civilization. Michah Gottlieb is associate professor of Hebrew and Judaic studies at NYU. His forthcoming book, The Jewish Reformation: Bible Translation and the Fracture of German Jewry, will appear next year.